COMMENTS: flavour i've found! i feel like i'm always ordering this because i'm always selling out! COMMENTS: I mix this withmango for a coco Colada scent and my customers love it. COMMENTS: It's very bitter no matter how much I use. COMMENTS: Great for summer.a great chapstick seller. Its a smell like vacation. The reaction i get from customers is "wow i like that!" this is a great go to chapstick scent. COMMENTS: No matter how little is used, even less than 1%, it his HORRIBLY bitter! "Smells great... Tastes not so great"
COMMENTS: It smells delicious right out of the bottle but that's where it ends. I made a small tester of lip balm & scrub with below the recommended usage as I do every time I order a new flavor oil and it tastes like straight saccharin oil, no coconut, no sweetness just mind numbing bitter. You can barely smell it in the finished product so that alone is saying how little you need to use. Not even sure how little I would need to use for it to not to be so bitter but again be able to taste something, anything. Needless to say I wouldn't recommend it. COMMENTS: I thought I would add some variety to my lip balm line of products. But no matter how much or little of this "sweetened" flavor oil I tested in lip balms, it still tasted awfully bitter. I would not suggest this flavor oil to anyone. 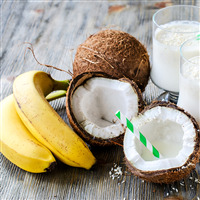 COMMENTS: I love the smell of this coconut flavor, but one mistake i made was using too much and the taste was very bitter, so don't make the mistake i did by using too much, if you want it to be sweeter, i would use a sweetener or it will taste yucky! COMMENTS: Smells amazing but NOT GOOD FOR LIP BALM. It has a horrible bitter taste. I will not sell the lip balms with this flavor to clients so threw my whole batch in the trash :(. I'm not sure how some reviewers said it's great in lip balm because there is no way I'm tasting the same thing they are! I've bought a lot from whole sale supplies plus and have been very pleased with everything I've received...except this. COMMENTS: Love this scent mixed with cherry. My customers love it used alone or with the cherry scent. "Leaves a bad taste on your lips"
COMMENTS: I bought this flavor oil because it smelled so good and coconut is my best selling lip balm. I should have bought the smallest bottle and tested it first. When you put the balm on your lips, it is great. But if you happen to lick your lips with it on, it leaves a terrible taste on your tongue. PLEASE fix this! We need a good coconut flavor oil that DOESN'T leave a bad taste. It's terrible. COMMENTS: I wish I had read the reviews on this before purchasing. Like many many others have said, it is absolutely unusable. At 1% in lip balm, the same amount I use with all of my other flavors, it was barely scented and tasted awful. Very bitter, have to throw the entire batch out. COMMENTS: I have purchased at least a dozen of your flavor oils and have loved every single one of them until this one. It is TERRIBLY BITTER! It smells AMAZING, however it is so awful that I will not sell the batch of lip balm I made with it because if I did nobody would ever buy another tube of anything else because it is so bad. Such a shame too since I am losing all the ingredients, tubes, labels, and shrink wrap used for that batch in addition the the cost of the flavor oil. I read your comment on another one star review about using smaller amounts however I used it at 20% because on the description it says it is safe up to 100% for lips. I'm so disappointed with this one. I still recommend your flavor oils to others, but I make sure to tell them to avoid this one. • The smell makes my mouth water! • The taste is HORRIBLE! COMMENTS: Gotta say, I gave this several chances. I did one batch, SUPER bitter. Then I read the reviews here and found that most people said to keep it WAY to the low side of the amount. So I remelted, added more base to dilute the flavor... got it to where I could smell/taste nothing. Added flavor a drop at a time. And the first hint of flavor was bitter. I don't know how others have managed to have good luck with it, but this one's a no-go for me. COMMENTS: I usually test my flavor oils before actually using, by touching the inside rim of the bottle, then touching my finger to my lips - just the slightest little bit. Out of the bottle, this flavor oil burned (actually felt more like a sting) and left a taste so awful I had to use mouthwash to help get rid of it. I've never had this happen with other flavor oils. But, being optimistic and not wanting to waste the money I spent on it, I tried it in a small batch of lip balm (and didn't add any colorant), using a lower ratio than normal, and there was still a really bad after taste. I might try using it in a non-edible product for the aroma, but I won't buy this one again. This is the only flavor oil I've purchased from WSP so far that is bad. WSP Response: Oils should not be put directly on skin or tasted. always put flavor oils in a product. 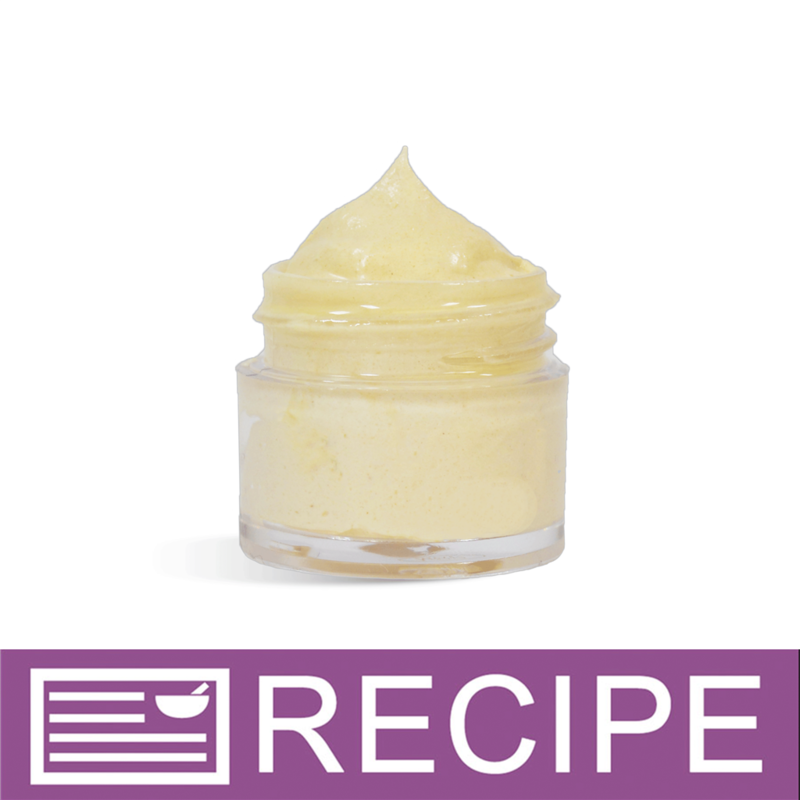 COMMENTS: one of our best sellers in any of our lip balm recipes we love it too so easy to use - but I didn't order enough of it!!! COMMENTS: sorry to say WSP but Coconut Cream sweetened oil is terrible.. It leaves a nasty sour taste in your mouth. just by using chapstick that I made from the coconut cream.. :-( I had to throw out alot of chapstick. "Smells as good as it tastes!" COMMENTS: I used this product in my lip balm and had a great success with it! Wouldn't change a thing. COMMENTS: Totally not what I expected, this flavor oil tastes and smells like licorice. I do not recommend it!! 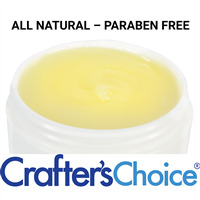 COMMENTS: I COULD NOT get this "sweetened" flavor oil to work with my balm base, it tastes awful, not like coconut at all! I added more sweetener but I still had to toss out a ton of base. I love the balm base, but I'm still in search of a flavored oil that will work. "Really burned my lips, tasted like fragrance oil"
COMMENTS: Everything i've gotten from WSP in the flavor oil line has been great. This coconut cream was so bad that i honestly thought i accidentally ordered a fragrance oil. My lips are still burning 2 hours later, and i always mix light on my first go-round. The smell is heavenly!!!!! I thought i'd try mixing with lime EO and it didn't help. I hate to give a bad review when i have always been so pleased with all of my orders and especially the customer service. This one just is unusable. WSP Response: If your lips are burning then you used too much flavor oil in your product. While the smell is fabulous, more is not better. This is a full strength chemical ingredient that should be used as directed. COMMENTS: i did not like this at all. I used the less then recommened ratio and it tasted so bad and even stung my lips a little. never had this happen with a flavor oil before. COMMENTS: This needs to be discontinued, in my humble opinion. This has a lovely fragrance/aroma but OMG not to be licked; therefore not for lips. 1st negative remark Ive ever made. WSP Response: Out of the Bottle these oils are very bitter and we do not recommend testing them in this capacity as it may not be safe for all flavor oils. The artificial sweetener used in our Sweetened Flavor Oils can become bitter if they are not used in the proper amounts. The recommended usage rate for a flavor oil in a lip balm is 2-3%. We recommend starting with a lower amount of flavor oil and increasing as desired. Be sure to test after each increase to avoid the bitter flavor. COMMENTS: Caused me to throw out 2 batches of lip balm. For the second batch I only used a 1% dilution, couldn't smell the coconut and still tasted bitter. Very dissappointed! COMMENTS: Very mild takes a lot to make product smell like coconut. COMMENTS: I made some lip scrub – well, tried to with this flavor oil. I added just a little bit at first and couldn't taste anything or smell much so I added just a little bit more… It was totally bitter! I thought maybe I added too much so I made another batch of lip scrub and mixed it in with the first – still bitter. I threw both batches of lip scrub away. I didn't make the coordinating lip balm. The scrub and the flavor oil went in the garbage. COMMENTS: Smelled great in the bottle and right after I poured it. Several customers complained about the funny taste. Some said it tasted alcoholic! As a result, I chucked all of the product that was left and threw the bottle in the trash! Love all your other flavors, however! Can't complain about those! And I buy a lot of them! COMMENTS: This oil smells so good but is very bitter. COMMENTS: This is a great coconut cream. Another big favorite with my customers. Highly recommend! COMMENTS: This is the perfect flavor oil for my summer line. I have so many people that were unsure at first but then they tried it. This has been one of my top request lip balms. Smells yummy and creamy. COMMENTS: It smells great after the Lip Balms are made, but the taste is extreme bitter. I have tried making these lip balms with all different types of measurements with this flavor and they are all horrible. Defintely not one ill be making again. COMMENTS: Works well in my lip balm. Husband loves it. COMMENTS: I really like this flavor. It is kind of pink in the bottle and didn't effect the color of my product. Nice smell as well. COMMENTS: Used this & added just a bit of honey for fun. Came out so yummy & smells just as fun! COMMENTS: Give a strange flavor in mouth. COMMENTS: Love the creamy flavor. Excellent! COMMENTS: Very popular lip balm flavor for me. Very creamy and coconutty! COMMENTS: My clients continue to ask me for this over and over they just love it! COMMENTS: Unfortunately, this oil is far to bitter to be used at even a concentration that is mildly detectable in lip balm. Mine may have come from a bad batch or something!! It smells so good, but since it is unusable, it was a waste of money. If the bitterness is due to the sweetener, I would be happy to try an unsweetened version of the same oil. COMMENTS: I'm not a coconut fan, but love this flavor. COMMENTS: This is my best selling lip balm flavor. It is also my personal favorite. I always carry it in my purse. Thank you for a wonderful product! "Are these, or any of your flavor oils, edible. I don't want to make good with it or anything but just want to make sure these would be safe if a child got a hold of a tube of balm." Staff Answer They are safe for lip contact. No cosmetic including lip balm should be eaten. "I purchased this item about 6-7 months ago and it has turned a reddish brown. It now gives my products a pinkish color tone as where this did not happen before. Any fixes for this? & it also has a bitter flavor now. I read other reviews that the product is still good to use, but I am having a hard time continuing use with this issue. Help. " Staff Answer Some fragrances or flavors do darken over time due to the ingredients in them. Unfortunately, there is nothing you can do for this. 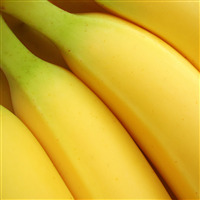 As for the bitter taste, you might try adding additional sweetener, a very small amount, to see if that will help. "I bought the Coconut Cream Sweetened Flavor Oil Dec. 2017 (Batch # 12/02/17) with a use by date of 12/02/18. I've used it a few times and it has been very, very popular with my customers. I was using it yesterday, June 8, 2018 and the oil is now brown and tastes HORRIBLE. I have to throw away a whole batch of lip balms. Why is this oil now unusable? I wasted money on a 4 oz jar and am losing revenue because I have to discard products I made. What recommendations do you have? Help????" Staff Answer Flavor oils do not spoil. It sounds like you may need to shake the bottle or you may have used too much. When too much flavor oil is used it can taste bitter. "My flavor oils are due to hit the expiration date on the bottle next week. If the smallest amount we can purchase at a time is 2oz and I just bought these in June, it doesn’t seem fair that I now have to throw half bottles away because they are turning brown. Why are they only batched the first of the year? It seems like such a waste. Now I have to buy all new oils"
Staff Answer We checked your account and see this oil was purchased as part of the "Best Selling 7 Flavor Oils Sample Set". The order was placed on 1/25/2017 which would be coming up on one year. The oils are "best used" by this date to use the freshest product. They are certainly fine to use after the best-used date. This particular flavor oil does darken over time due to the ingredients in the oil but it is still fine to use in your product. "I know I'm probably not supposed to, but I put a drop of this on my tongue and it burned like crazy. I had done that with a couple of other flavor oils and they didn't do that. Now I'm afraid to use this in my product. Is this normal?" 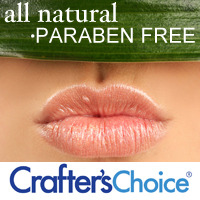 Staff Answer Our flavor oils are not meant to be used directly on the skin or lips. They are meant to be used in a lip balm base. These have all been approved for and are all safe to use in lip products. "I'm wondering how this fragrance will perform in a body butter any discoloration or stickiness?" Staff Answer The sweetened flavor oils have been formulated for lip products only. We do not recommend using them in any other cosmetic products. "I don't see any directions for use. What percent do recommend using?" .5-2% is standard, but you should always check the documents provided for specific product restrictions. "Are the sweetened flavor oils sugar free, or do they contain sugar?" "Can these be used any products besides lip balm? Will it effect the product in any way?" Hello, Yes this product can be used in other items besides lip balm. 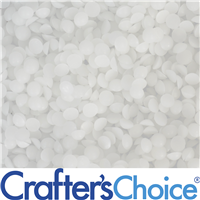 Please refer to WSP IFRA sheet for a complete listing: http://www.crafters-choice.com/PDFs/ProductDocs/IFRA9419CoconutCreamFlavorOil.pdf Thank you for your question. "Do Flavor Oils contain aspartame?" Staff Answer No they do not contain aspartame.